Join the ‘town hall meeting’ at the Ocean Beach Library today at noon. Let’s have a town hall meeting today in front of the Ocean Beach branch of the library, at noon. Why not? Originally tagged as a meeting for those who wished to support the Friends of the OB Library and organize a rally, the gathering set for 12 noon today has morphed into a virtual rally itself. With Councilmember Kevin Faulconer’s office jumping on board, and with the San Diego U-T announcing it, it appears that the meeting is much more. I was sitting at the counter at South Beach Bar and Grille Friday eating my fish taco when an acquaintance who sat next to me, asked me if I was going to the rally at the library on Saturday. He was. So, I guess the rally is already on. Friends of the OB branch will there collecting signatures from residents who are opposed to the Mayor’s proposal to shutter most of the library. Faulconer’s office said he’d be there by 12:30. I spoke to George Murphy this morning – George is the chair of the Friends group – and asked ‘why don’t we have a town hall meeting about the library?’ He thought it was a good idea. We both have a wait-and-see attitude. There have several posts on the OB Rag lately about saving the libraries. One written by OB Joe called for the youth of Ocean Beach to step up and help the aging members of the Friends mobilize to save not only our branch but the entire library system from being decimated. Friends, neighbors, fellow citizens: join us today to save the libraries from any cut-backs, from any closures. We’ll be there starting around 11:30 and would like to have a town hall meeting at noon on the value of our branch, the entire library system, and on organizing future mobilizations of ourselves to do it. Be there – or don’t complain when the library is closed or you have to travel up to the Point Loma branch. If we can’t save our library – what can we save? If you look real closely at the sign on the library’s door, it says “closed”. This cannot be what we want or deserve. The developer backed Sanders Administration will do anything to further their schemes to build a new City Hall, Convention Center, Stadium. However, saving a few bucks by closing the OB library should not be one of their ways of doing so. We need to speak truth to power. 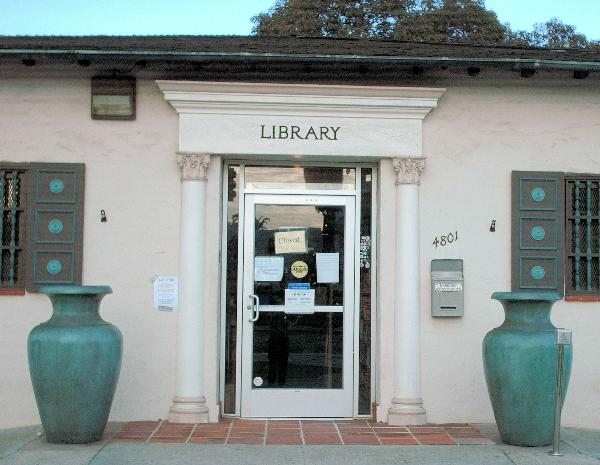 Older Article: Will the San Diego City Council Kill Your Library in Order to Save it?